Sale. 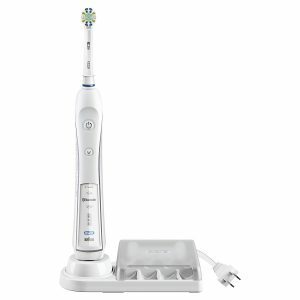 Amazon has the Oral-B Pro 5000 SmartSeries Power Rechargeable Electric Toothbrush with Bluetooth Sale Priced at a super-low $59.95 after instant $15 off Coupon and Promo Code: 155KBRUSH with Free Shipping. Sells for $110, next lowest at amazon, highly rated 4.4 out of 5 stars.